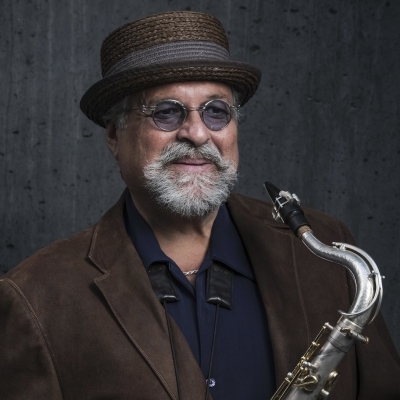 The Grammy Award Winning composer, arranger, and jazz saxophonist, Joe Lovano, debuted the first live performance of his new major works with ECM Records, Trio Tapestry, on Sunday, January 27. The concert, held at Albright-Knox Art Gallery as part of the Art of Jazz Series, was the trio’s first-ever outing since the Trio Tapestry album was recorded and then released on Friday, January 25th. […] Exemplary of the afternoon was the intricate piece, “Seeds of Change.” Crispell’s introduction is illuminating. Lovano weaves into the song melodic intonations that are peaceful to the ear. While Castaldi’s expressive use of cymbals and the drums fills the room with color. The essence of the afternoon was an exercise in watching and listening to three artists in constant conversation. Every piece of music performed was conversational. Particularly between Crispell and Lovano. The collaboration taking place on the stage gave the audience a spiritual-like experience. Meditative and contemplative in its breath. The word tapestry is befitting. Lovano’s vision weaves a combination of unique sounds together that are intricately intimate. Transforming the stage into a live canvas. The audience witnesses a fabric of music slowly developing. And, by the end, appreciating the exquisite beauty of this fabric of music painted by three stellar artists. Taking it home in their memory as a prized possession. NEXT SONG YOU NEED TO KNOW: JOE LOVANO "RARE BEAUTY"